For all mothers who loved the simplicity and warmth of Buddhism for Mothers, here is the next chapter - Buddhism for Mothers of Young Children (previously published as Buddhism for Mothers with Lingering Questions). Juggling working from home and managing a family, and worrying about whether she'll have a future career, Sarah Napthali is now the mother of seven-year-old Zac and the unrelentingly naughty four-year-old Alex. While she's no longer changing nappies or carrying babies, she is contending with the next lot of parenting challenges to which every mother will be able to relate. In her clear and engaging way, Sarah takes us on a journey through these challenges (and the joys!) of raising children, using Buddhist teachings and principles to help her answer the eternal questions of mothers everywhere: Who am I now? Where am I going? And how can I do my best by my children and myself? Writing from personal experience, and weaving in stories from other mothers throughout her narrative, Sarah shows us how spiritual and mindful parenting can help all mothers to be more open, attentive and content. 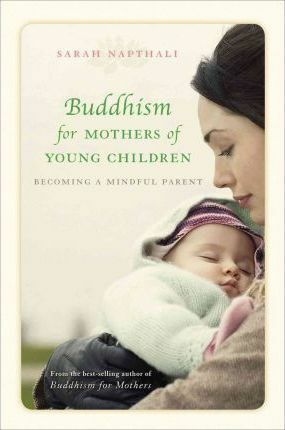 Sarah's first book, Buddhism for Mothers, has been read by many mothers who practise Buddhism as well as those we've never before opened a Buddhist book in their lives. Sarah is the mother of two young boys who tries to apply Buddhist teachings in her daily life. She is also the author of Buddhism for Mothers, which has sold in the United States, the United Kingdom and has been translated into four other languages to date. Since the children started school, Sarah is very pleased to report that she manages to meditate daily.